This slightly quirky adaptation of the classic Arabella Highback is a statement piece in its own right, but when upholstered in an exquisite fabric it becomes a real showstopper. The Oslo is a modern twist on the traditional wingback tub and has a high backrest and simple pared-back curved lines. 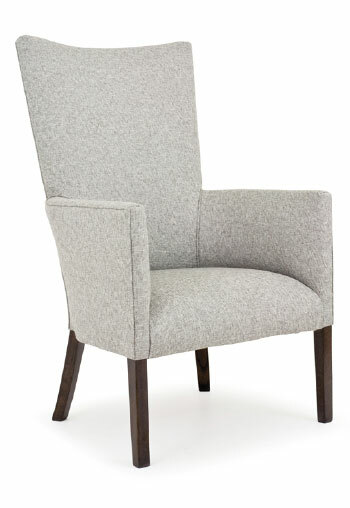 As with all Woodbender designs, the Oslo can be upholstered in a fabric of your choice. 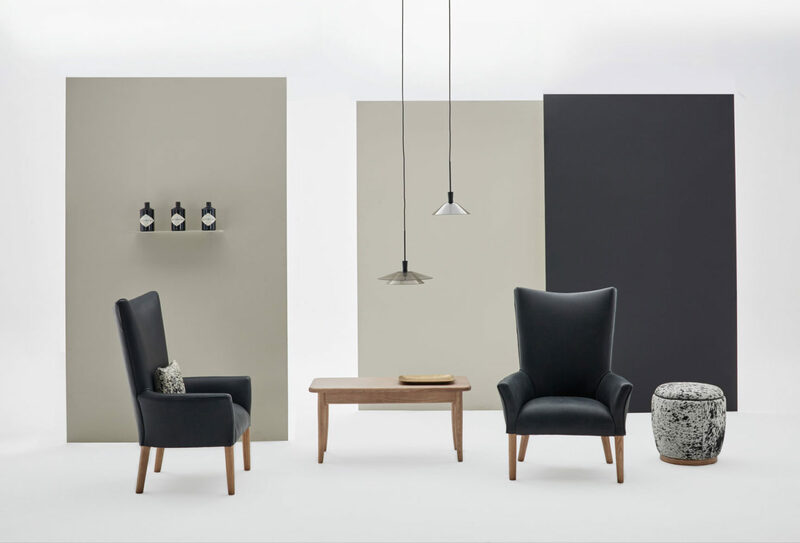 If you’re looking to make this tub chair a statement feature in the room, then we suggest that you consider this year’s trending colour palette and make your selection from there. Emerald green is having a moment this year, as are mustard and blush. For a more subtle look we love the Oslo in a simple charcoal or navy textile. 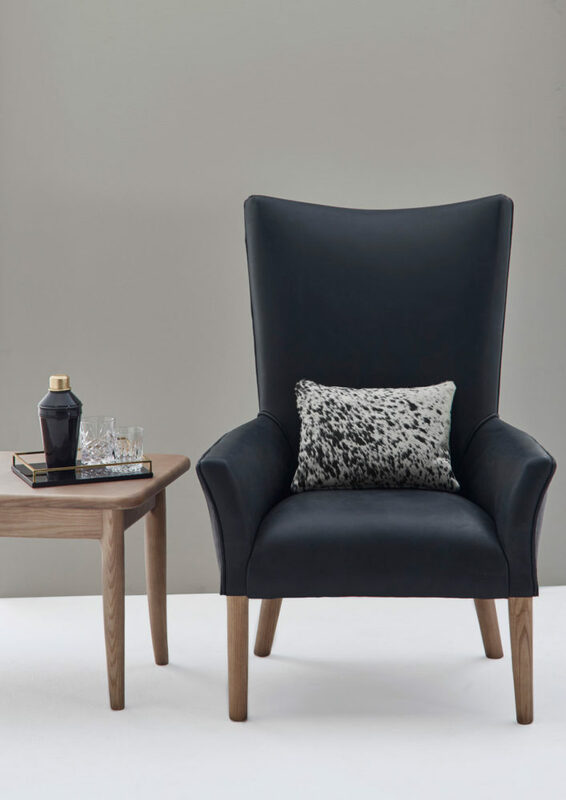 The standard design of the Oslo comes with six buttons in the backrest, but for those wanting a more understated look we’re happy to do away with the buttons and offer a clean backrest, as seen in this black leather button-free design. The Oslo’s sassy silhouette and supportive foam padding on the seating area, backrest and arms make it ideal for both hospitality and home spaces. 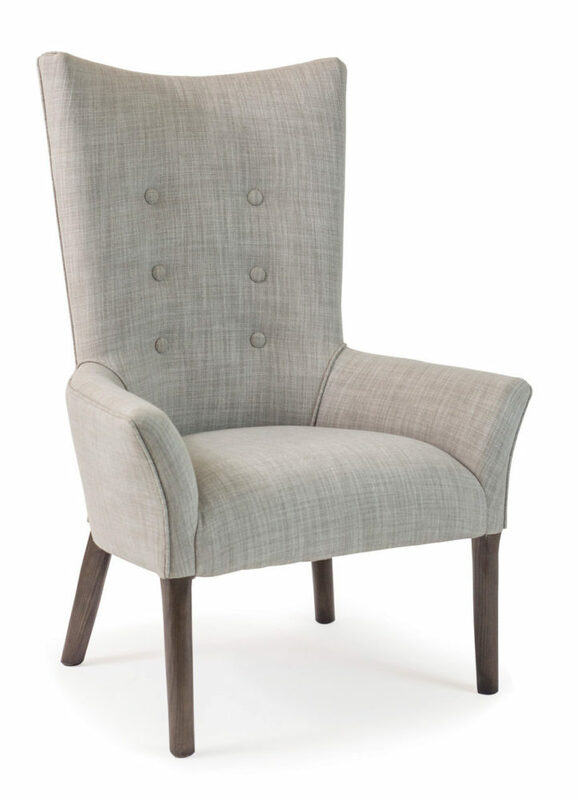 When placed in a hotel lobby or foyer, this highback chair not only looks stylish but provides guests with a comfortable seat to wait while they check in, fill out paperwork or simply enjoy a cup of coffee. The Oslo also looks great in cigar lounges and is perfect for placement near the fireplace on a cold winter’s night.